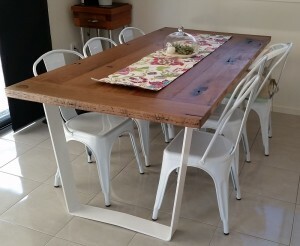 La Lucie Recycled specialize in quality, handcrafted furniture and homewares, created with recycled timber. 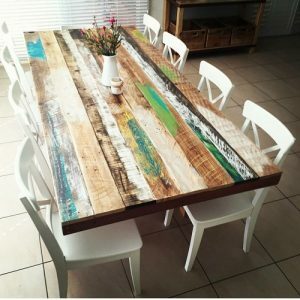 The La Lucie Recycled workshop is based in Ashmore on the Gold Coast, and from there the team design and create a unique, quality range of timber furniture and homeware pieces from 100% recycled wood. Drawing his skill from his trade of furniture making and inspiration of working with discarded timber, Eric created the La Lucie Recycled brand in 2013. A Gold Coast based family business, the La Lucie brand is a demonstration of quality design and craftsmanship. 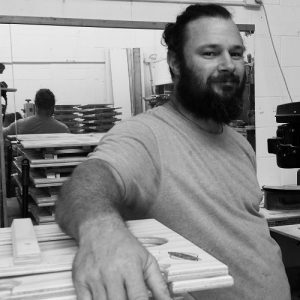 If you have seen a piece of furniture or other item in a photo or online, Eric’s creative flair and understanding of timber will help bring it to life. Perhaps you have something in your mind that you would love to have made for that perfect space in your home or workplace, we can start from basic dimensions and a sketch and handcraft. We have small showroom attached to our factory at Ashmore, where we can show you some examples of pieces we’ve created, and discuss how we can create your perfect piece with you and for you. If you would like to arrange a time to visit us, please call or email us to arrange a time.